I had the unique and wonderful opportunity to attend a “Welcome to Adulthood” Celebration for a young man in my congregation who turned 18, an event I think more people should celebrate. His parents invited adults who were a part of his life to take part in the ceremony. 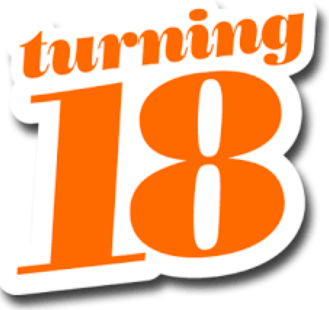 It began with a reflection of what it means to turn 18. At 18, children are no longer under guardianship, no longer “minors.” They become autonomous, responsible for their actions, with certain duties and rights. They control what is shared with their parents as far as their education, they can enter into contract, and they can vote. They can marry, join the military, and if they commit a crime, it goes on their permanent record. All of these things, as well as the shift in relationship with parents that moves toward an adult relationship, were highlighted in a beautiful essay his father read. After that, we prayed and read together Psalm 139, which talks about how we are “fearfully and wonderfully made” and how God is a part of our journey. As part of the ceremony, all of the adults present were invited to take up to two minutes to give him advice that we would give to our 18-year-old selves, which his parents compiled in a book they gave to him. It was deeply moving. The advice took different forms — from sonnets to lists. Some were funny, some were deeply personal, but all were poignant and there were more than a few tears. However, I decided on two main life lessons, that really reflect my life journey — pieces of advice that I wish I had knows at 18, but I am so grateful I know today. 1. Steer into the skid. When something bad is happening or something that you feel you may not be able to control, face it head on and don’t avoid it. Move toward it, not away from it. When you steer into the skid you have a better chance of keeping control of the vehicle and when you steer into the skids of life you have a better chance of a positive outcome. 2. What others intend for evil, God can use for good. Bad things are going to happen.That is life. God doesn’t cause them, but God can redeem them, so if you trust God with your broken heart, your broken dreams, or any of your broken parts, God can take them and turn death into resurrection. It isn’t always fast. It isn’t always obvious. And it is definitely not always easy. But God can accomplish more than we can ever ask or imagine when we stay the course with God instead of walking away. And in the end, we become stronger, for others and ourselves, when we embrace those broken parts of our life and let God use them for good. The ceremony ended in a blessing, as we all laid hands on the young man and prayed for him, having imparted our wisdom on him, but the blessing was really for all of us, for an opportunity to reflect on life lessons, and then share them.